Prado. Fun green leather stripes cuff bracelet. Prado. 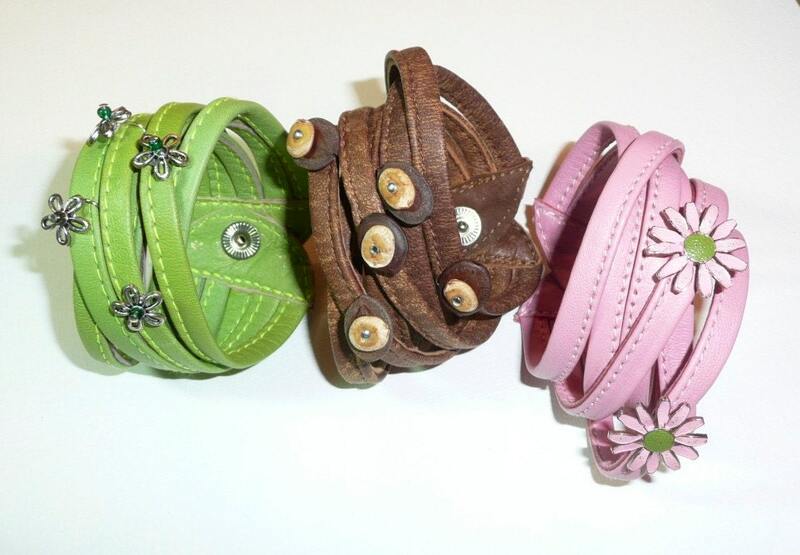 Fun green leather stripes cuff bracelet easy to wear and ornated with pewter flowers and dark green seed beads. 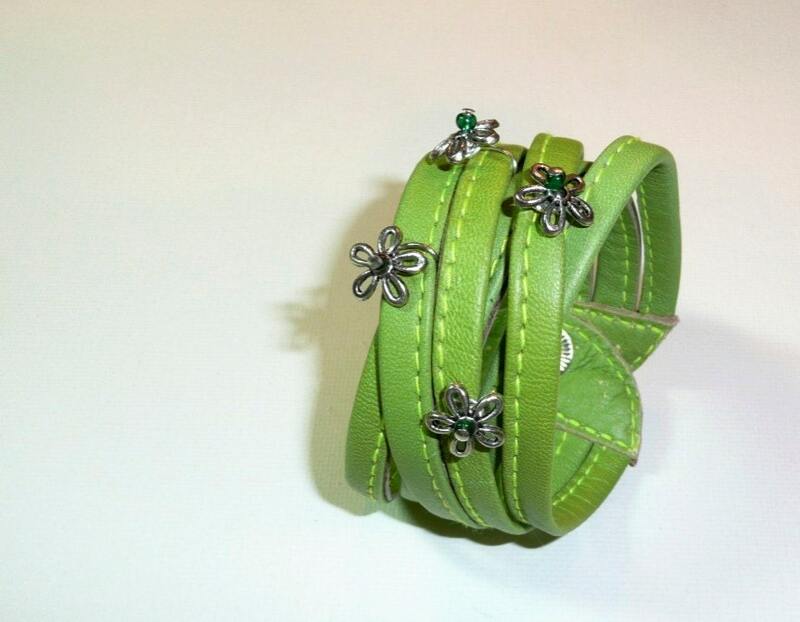 This is a soft leather in beautiful tone of light green that would spice the right outfit. 8 inches or 20 cm. long.